What are “en face” editions? Each of these low-priced packages comes with illustrated breakdowns of the highlighted form. There is generally some background information and side by side descriptions in both English and Chinese. Each package includes a VCD covering the form, with English subtitles or narration. Most of these packages are under twenty-dollars and are a great way to learn one of the more difficult-to-find styles, such as Hong or PiGua Boxing. Listed next to each title below is a link to the page where you will find the book and its VCD companion. Posted October 31, 2014 by Plum Staff. Comments and trackbacks are open. Follow the comments feed. 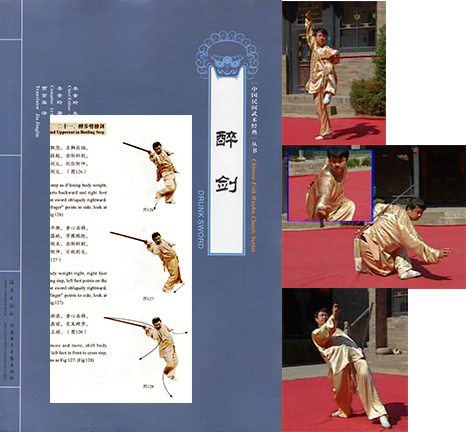 Tagged with: Bagua, Cha Quan, chinese martial arts books, chinese martial arts dvds, Eagle Claw, Fan Zi, Kung Fu books, Kung Fu DVDs, Kung Fu Sword, martial arts books, martial arts dvds, Miao Dao, Pu Dao, Tai Yi, Tong Bei, White Ape, Yan Qing.